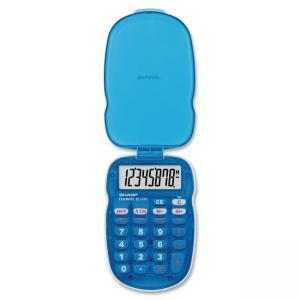 Brightly colored, handheld calculator with protective cover is great for kids and stores easily in backpacks. Extra-large, 8-digit LCD with flat viewing angle provides punctuation for clarity. The contoured, translucent case is easy to hold. Hard, flip-top cover offers convenient protection and snaps closed. Keys are plastic for durability. Functions include three-key memory (memory plus, memory minus and recall/clear memory), square root key, percent key and sign change key. 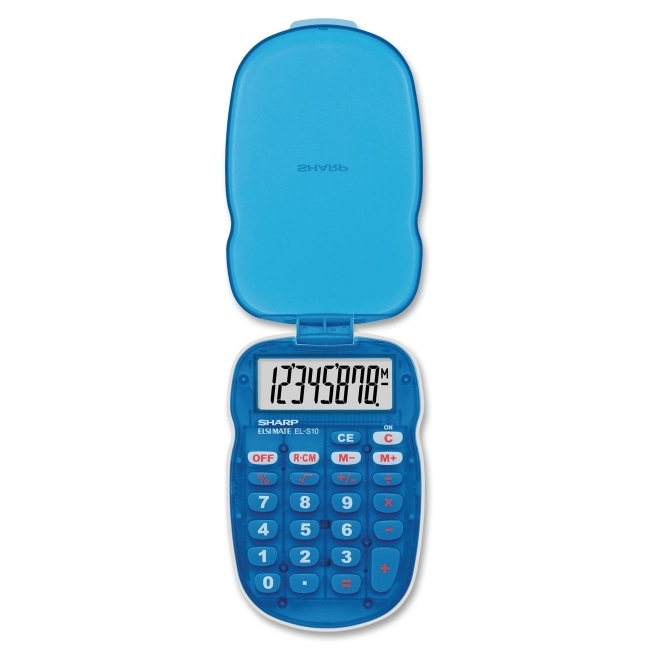 Battery-operated calculator includes LR1130 battery so it's ready to use. Calculator weighs 1.9 oz.